Three days full of workshops and shows await - Helsinki Oriental welcomes dancers of all levels to join our wonderful Summer Sessions with guest star FARAH NASRI from Cairo! 13:30-15:30 Laura Zaray - Technique: Isolate your flow, intensify your softness! Do notice, you will have to fill a new form to each workshop. If you find this complicated, you can also just email the list of chosen workshops at info@helsinkioriental.fi. We would like to welcome everyone to our very first student show! The matinée is a chance for our students to perform their latest dances. Our wonderful soloists and groups from intermediate to advanced levels, as well as their teachers present different styles of oriental dance. So take a new direction to your Sunday stroll and drop by to enjoy a cosy afternoon with us! FREE ENTRY! You will find us next to Redi and Kalasatama metro station. The entry to Työpajankatu 10B is from Hermannin rantatie (2B). Our studio is located in the 6th floor. Come and dance the winter away! Two days full of workshops and a Saturday night party with shining performers! See the program below, sign up to workshops and apply for open stage! 12:10-14:10 Outi of Cairo - Technique: Shimmies and more! FULL! 12:10-14:10 Nina Tiusanen - Technique: Details later! All registrations are binding, prices incl. VAT 10%. To register, click the sign up -button below. NOTE: Unless you sign up to all workshops, you must leave a new registration form for each workshop. You can also sign up by emailing us at info@helsinkioriental.fi. 18:30 Doors open, tea and dates are served. Professional belly dancers and open stage stars perform! To apply for open stage, contact us at info@helsinkioriental.fi and tell us more of who you are and what you would like to dance. Video clips are also appreciated! We wish to create an interesting and dynamic line up of individuals and groups. All workshops and the party will be held at the Helsinki Oriental dance studio in Kalasatama, right next to the metro station. Are you a dance fitness instructor or planning on becoming one? This is a special course for instructors of DanceMix, FitDance, Zumba, DanceCocktail or any other type of mixed dance class. This workshop will get you started on adding some Belly Dance moves to your routine and instructing them safely to your customers! We will start the training by taking a brief look at the basic techniques and different styles of Oriental Dance, including the Belly Dance of Egyptian night clubs to folklore of the desert and the trendy Shaabi street dance. The latter part of the workshop will be spent on learning combinations and drills that are ready for you to use in your class. You will also get a list of the music used to bring you to class authentic and fresh! Oriental Dance is quite easy on steps but adds a nice challenge for the inner muscles and middle body. It is rather smooth for a change to keep your class dynamic and suitable for everyone. The workshop will be given by Ulla Borgenström, the owner of Helsinki Oriental. Apart from Oriental Dance she has worked ten years in fitness instructing a variety of subjects including different kinds of mixed dance combinations, body maintenance and gym training. She knows how to keep the class rolling and people sweaty and happy. The workshop will be held at the beautiful Helsinki Oriental dance studio right next to Kalasatama metro station. - List of music used for each combo and more! Price 60€ per person (incl. VAT 10%). Registrations are binding, cancellations only for medical reasons! The maximum number of participants is 25. The course will be held in English and/or Finnish depending on the participants needs. Warmly welcome both experienced instructors as well as newbies who only just started dreaming of instructing! 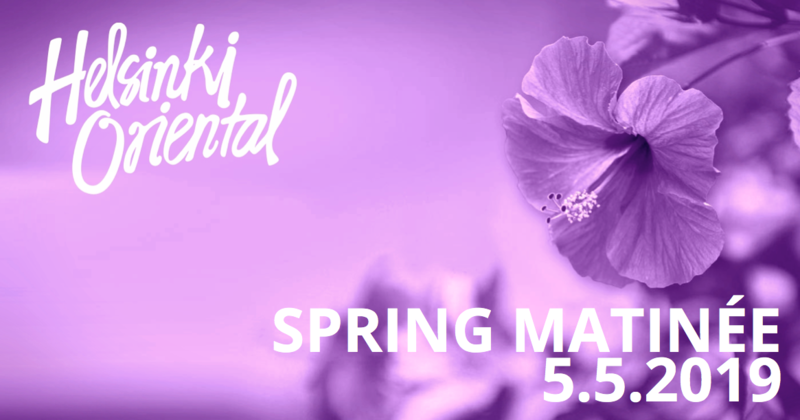 Register by clicking the sign up button below or cantact us at info@helsinkioriental.fi. Alla Kushnir is one of the most sought after dancers both in Egypt and internationally. She is regularly performing with all the leading Shaabi musicians from the legendary Ahmed Adaweya to Ahmed Sheba and many more. Her unique style is a dynamic mix of well preserved tradition and modern creativity. Absolutely beautiful, cheeky and fun – Oriental art of dance at it's best – make sure to get your share! Join us for the opening celebration of our new studio! A line up of fabulous belly dancers in a charming space, served together with friends and refreshments – a combination hard to resist! FREE ENTRY! Come and learn the hottest tricks and latest trends from the queen of Shaabi herself! FULLY BOOKED, REGISTRATION CLOSED! On Sunday Alla will teach a stunning mejance, a Cairo style show opener with her special spices. STILL SPACE LEFT! 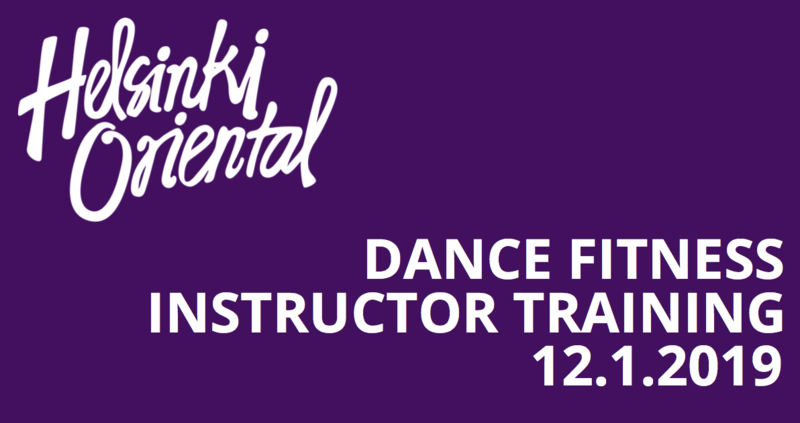 Workshops will be held at the brand new Helsinki Oriental dance studio, next to Kalasatama metro station. The studio is easy to reach from any direction, arriving from inside or outside of Helsinki, by car or public transportation.